A timeless print by Michael Miller. 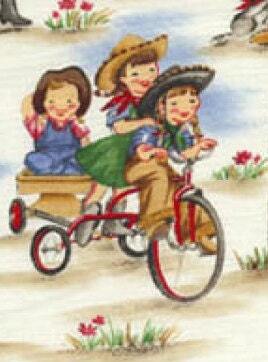 These adorable cowgirls riding their bikes, riding stick ponies and riding wooden rocking horses are so delightful. A rainbow of colors showing shades of red, green, blue, yellow, gold, green black, gray and brown. Children range in height from 4.5 inches and widths of 4 inches. 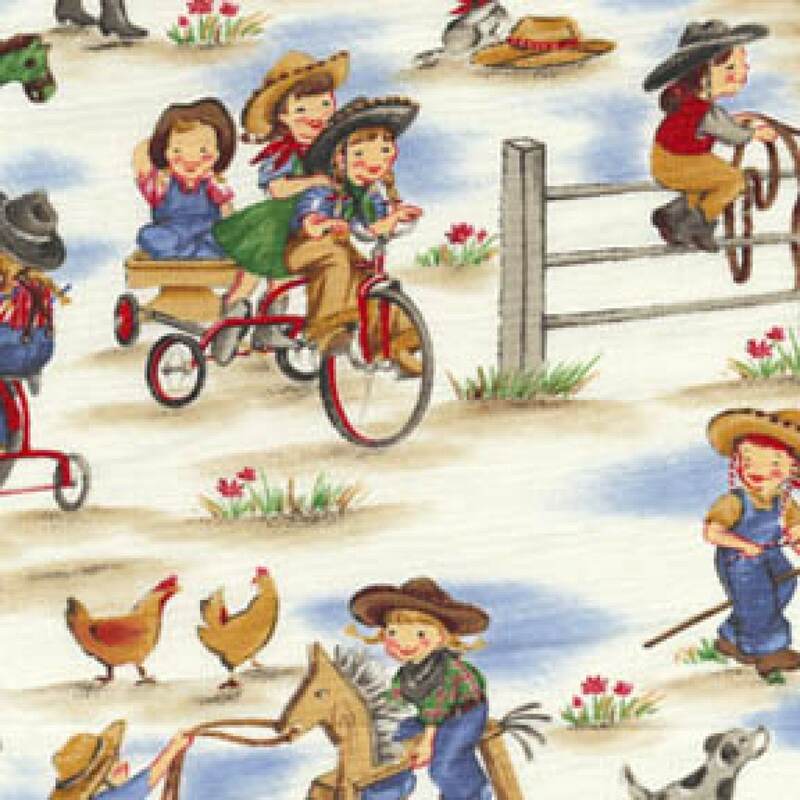 A wonderful western print for any little cowgirl. All fabrics from The Quilted Nursery Children's Fabric Store is cut directly from the bolt and we now offer fractional yardage cuts for your shopping convenience. All fabric is cut in continuous yardage unless otherwise instructed. All shipping overages will be refunded upon shipment of fabric. Same day shipping always!